BLESSED ARE THE DEN LEADERS! 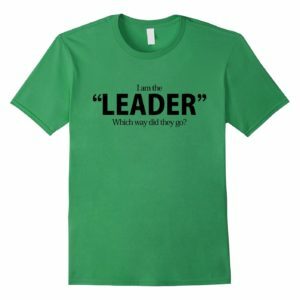 Den leaders, commensurate with their importance, have a tremendous amount of responsibility. They aren’t just important to a pack, they are vital to the sustainability of troops and crews. Den leaders are a precious resource, the heart of a Cub Pack, they do all the heavy lifting, we can’t value them highly enough. 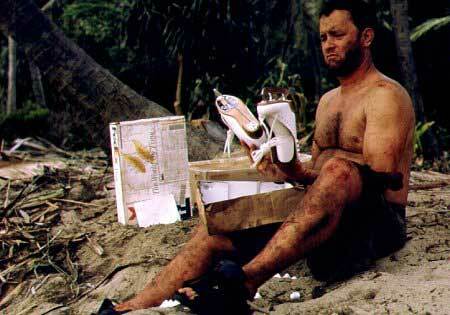 Castaway on a Desert Island. 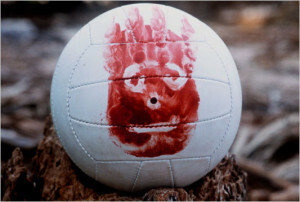 Here’s your island, there are plenty of coconuts, so you should be fine. Here’s a pair of ice skates (good luck with that! ), and volleyball to keep you company. Yes there is training, and there are plenty of other great resources, but those things are kind of like a ship that periodically visits the desert island. The rest of the time den leaders can feel pretty isolated, even abandoned. Den leaders, especially new ones, need all the help they can get! They should be flooded with care and concern, we should be working as hard at offering them support as they do at leading that den. Where can we find experienced mentors and helpers? 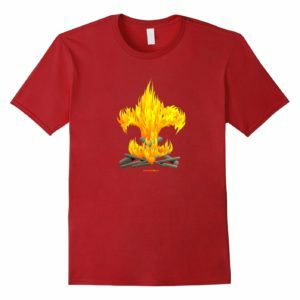 Most of the adults in troops and crews were den leaders once, I’ll bet at least a few of them would be happy to help. Shouldn’t we all pull in the same direction? Let’s get on the ball, your future Scouts and Venturers are in those dens. Let’s keep Den Leaders connected, welcome questions, let’s stop by a den meeting and offer our help. Let’s be sure that we aren’t making the administrative duties any more difficult than they have to be, let’s make leading a den as easy and as much fun as we possibly can. A good den chief doesn’t just kind of accidentally wash up on the beach. 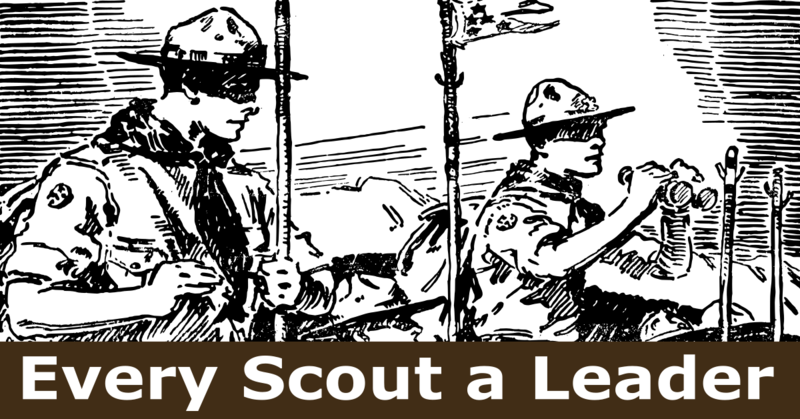 Den chiefs should be chosen from Scouts who are genuinely interested in being den chiefs; not from Scouts who only “need” a position of responsibility to advance. Our older, most experienced, Scouts and Venturers should be actively encouraged to take this on, we should make it an honored and sought-after position rather than the position you take when there’s no other choice. 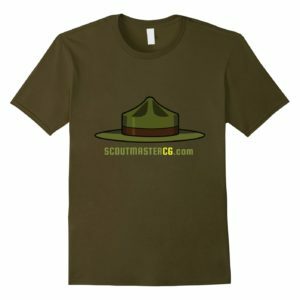 The Cubmaster, Scoutmaster and senior patrol leader should work together to select, train and qualify den chiefs. If we work hard at it we create a significant resource for dens, and a great opportunity for the Scouts who serve as den chiefs. Cub Packs, Scout Troop, and Venturing Crews are separated administratively, each on its own little island. This separation makes connections challenging, a little outreach from all sides goes a long way. 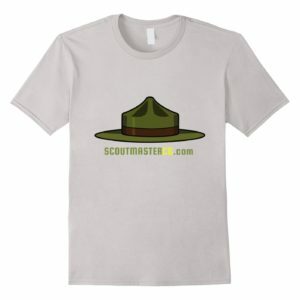 In my perfect world Cubmasters, Scoutmasters, and Venturing Advisors would be communicating with each other regularly, sharing resources, and cooperatively promoting Scouting to the mutual benefit of Cubs, Scouts, and Ventures. But the sad reality is many Packs, Troops, and Crews are barely aware of each other; or, worse, openly antagonistic! Someone has to take the initiative to build bridges, how about you? Here’s an interesting question, which is the most important or most significant den? Yeah, yeah, I understand they are all important; but I am thinking of the old proverb that begins “For want of a nail, the shoe was lost”. Tiger Cubs are a big deal, not only to the Pack, but to Scout Troops and Venturing Crews, but we seem to lose a shocking percentage of them every year. Shouldn’t we be paying very close attention to our youngest Cubs and their families? With care and attention they will be older Cubs, Webelos, Scouts, and Venturers one day. Does the Tiger den leader understand this? How about the Cubmaster? Shouldn’t Tiger Cubs and their parents meet a few Scouts and Venturers? Shouldn’t the Scoutmaster and Venturing Advisor meet these Tigers and their parents? Sure, I understand that Tiger cubs and their parents can be fickle. They may try Cubs for a while and find it’s not for them, I understand that; but how are they making that decision? Have we shown them the whole scope of the Scouting program, or just expected that they will figure it out on their own? Don’t we want our best, most experienced, most compelling folks helping with a Tiger den? Shouldn’t we be flooding those dens with attention and support? In that light recruiting the parent of a Tiger to be their den leader seems like a hit or miss approach. Naturally, many Tiger parents do a great job as den leaders, but shouldn’t we be hedging our bets? Shouldn’t we invest as much as possible in Tigers and their families? We do want them to stay around, right? If all we do is recruit a slightly reluctant parent as a leader why is anyone surprised if we don’t have half as many Tigers as we started with a couple of months later? For want of a Tiger, a Wolf, a Bear, a Webelos, a Scout, a Venturer; see what I mean? 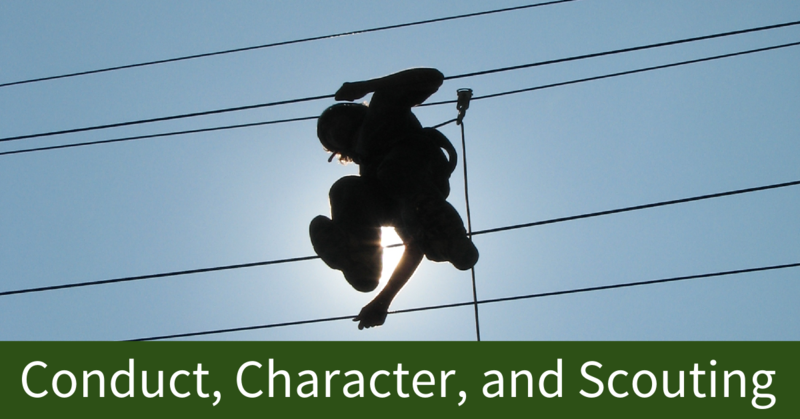 Another important question; what’s happening next for our Webelos? Are we just hoping things may somehow work out? Do we have a plan? I understand transition is change, change is stressful, and a little uncertain. 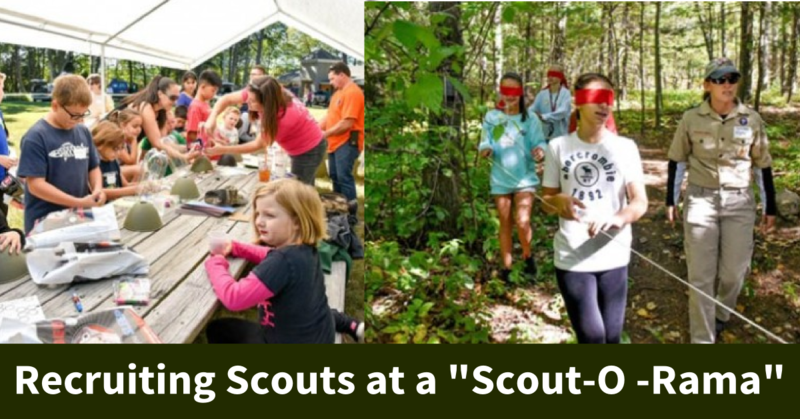 But the transition from Webelos to Scouts isn’t a surprise or shock, we know exactly when this is happening! 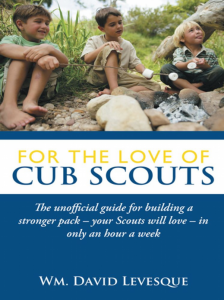 As I noted before, the separate administration of Cub Packs and Scout Troops makes connections challenging. 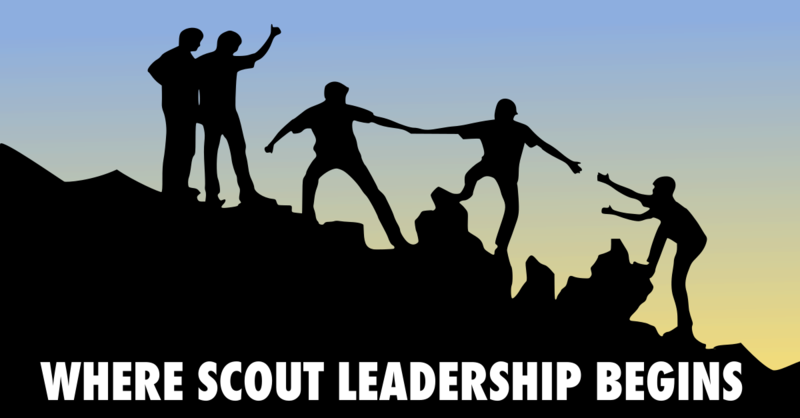 Webelos Den leaders, Cubmasters and Scoutmasters ought to be proactively, cooperatively, planning what happens. This may mean ignoring the internecine battles between the interests of adults that draw our attention away from the interest of our Scouts. How much good could we do if we focused on the interests of our Scouts rather than protecting our turf? 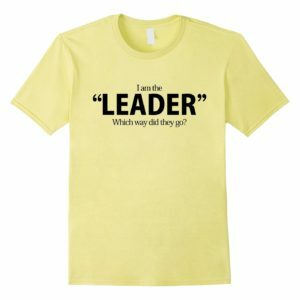 To my mind most of these disconnections and problems arise from our collective failure to support and encourage den leaders. I am not trying to assign blame or make anyone feel bad about this – just to get us all thinking. 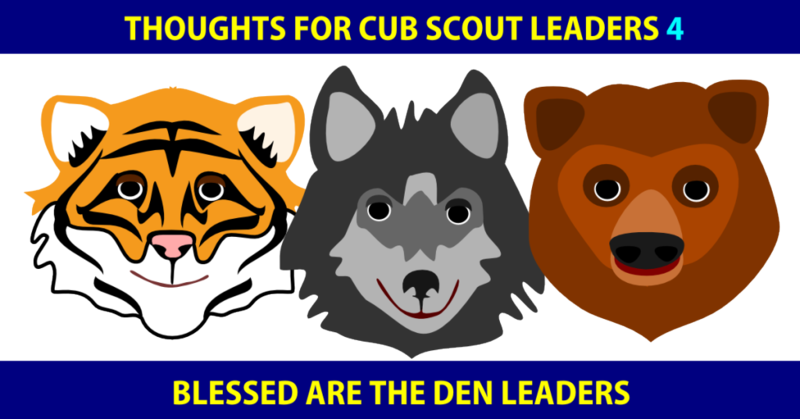 Are we (everyone; Cubmasters, Scoutmasters, Venturing Advisors – and all of our unit volunteers) focusing attention and support on our den leaders? 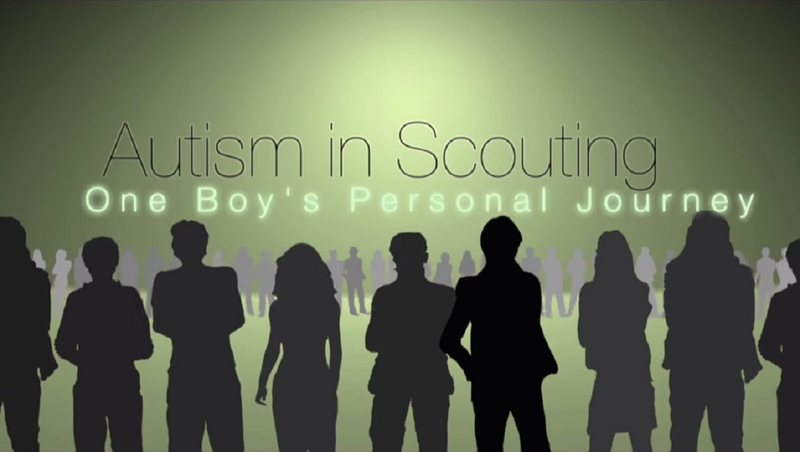 Are we doing everything we can to guarantee that they are connected and focusing on the interest of our Scouts rather than just hoping, maybe, things go okay?